Increasing robustness levels will require significant changes throughout the entire automotive ecosystem. 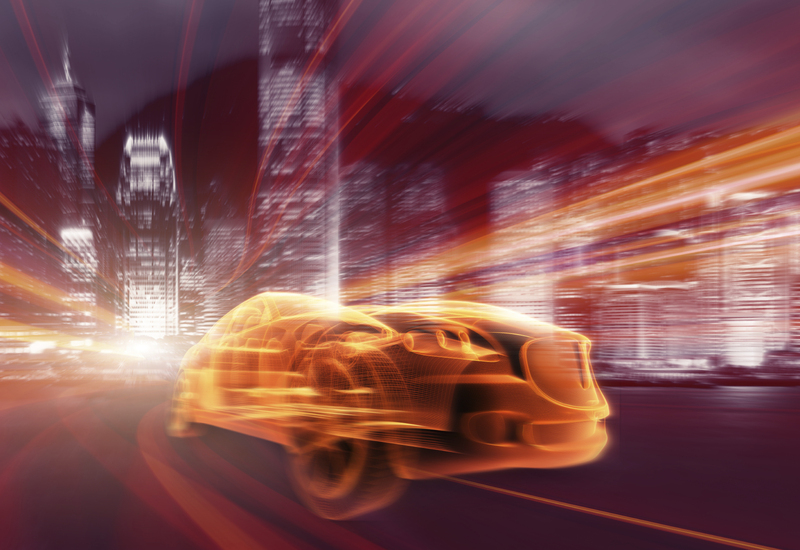 The journey to autonomous cars is forcing fundamental changes in the way chips are designed, tested and tracked, from the overall system functionality to the IP that goes into those systems. This includes everything from new requirements for automotive-grade chips to longer mean time between failures. But it also makes it far more challenging, time-consuming and complicated to create these devices, because they have to be designed in the context of other systems. Some of those systems are still deep in the development phase. The new reliability goal circulating in the automotive market is seven sigma. While that may be mathematically possible, it’s certainly not clear how realistic that goal is. Six sigma, long considered the gold standard in manufacturing, is the equivalent of 3.44 defects per million. But those numbers also need to be viewed in the context of complex systems over extended periods of time. At the very least, car markers are looking to substantially improve on existing failure rates as they scramble to develop vehicles that can drive themselves. Assisted and autonomous driving add new liability concerns into the automotive world, and part failures are preventable—at least on paper—with better simulation, verification, prototyping and testing. In the past year, carmakers have told suppliers they expect zero defects for up to 15 years. Achieving this level of robustness becomes particularly critical for autonomous vehicles because an estimated 4 terabytes of data will flow in, out, around, and through an autonomous vehicle, he said. But designing the electronics to handle the extreme temperatures and stresses of these vehicles is a daunting task, and one for which there is only limited precedent. Huhnke, who previously worked at Volkswagen, said 50 billion semiconductors were delivered to the automaker for the 2014 model year—a number that is growing rapidly as more electronics are added into cars. This depth of understanding about solutions from the semiconductor world is relatively new in the automotive sector. “Car manufacturers are outdated, because when they begin to design a car they look for availability of system components usually five years before a vehicle is launched. So they pick what’s available on the shelf, take the processor which is available at that time, maybe something which is used for a while under the automotive grade, as well as being very reliable and robust. This means they are picking five years before the launch of the product, and maybe an outdated processor from the innovation standpoint, but a very reliable and robust system. If you want to improve, and the pressure is from all of the automotive OEMs, more computing power is needed, along with more memory, more connectivity, and more intelligence from more sophisticated computer power,” Huhnke pointed out. These changes already have begun showing up in automotive design. In the case of Audi, its developers were able to distinguish hardware and software development by using a virtual prototype of the hardware to begin with the software development. But designing high-sigma automotive designs is happening on a scale that can be staggering to comprehend. For example, an Audi A7 has more than twice the number of lines of software code compared to an airplane. This means software must be standardized, the operating system must be standardized, platforms have to be created, software IP must be reused — this is a big game changer that will demand that thousands of software engineers be hired to make sure the OEM is ready for the future. A part of this will be the entire redesign of the automotive electronics architecture. The complexity only grows from there. While electostatic effects such as noise, electromigration, and on-chip variation could be ignored at older nodes, carmakers are looking at the most advanced technology nodes for AI chips—the central brains of an autonomous vehicle. This is partly because the design cycle is so long, but it’s also partly because those systems will require maximum performance per unit of area and per watt. That bookkeeping may still be evolving, given that automakers are trying to add as many features as they can. This is a data management problem, and that data needs to be accessible at least across a company, and in some cases across the entire supply chain. That requires restricting who can see what and setting up permissions and authentication, but it also requires an understanding of how all of these pieces go together. That used to be done on a spreadsheet, but the data management problem has grown far beyond what a spreadsheet can handle in an autonomous vehicle. “When you’re dealing with a lot of customers, you want all the information, the knowledge base, everything in one place,” Adhikary said. Verifying a high-sigma level requires lots and lots of simulations and Monte Carlo runs, all of which are very expensive and time-consuming. High-sigma verification is especially critical in 1) automotive on the safety, reliability side of things; 2) mobile chips, and designing down to the most advanced nodes; 3) lower power designs, where higher sigma becomes challenging; 4) IoT-type applications, and making sure the chips are working and reliable in the field; and 5) high-performance computing where power and the advanced nodes are very important, explained Amit Gupta, general manager of the Solido group in the IC Verification Solutions Division at Mentor, A Siemens Business. He has observed that high-sigma pain points are top-level challenges for users. However, it is getting even more difficult to trace failures because the worst-case corners under non-statistical variation may be different from when Monte Carlo analysis was done due to variation. As such, which tool can you rely upon to correctly get you the value of that Gaussian tail bit—especially when there is no simple calculation to show what that tail bit will look like? So what about 6 or 7 sigma? And what does 98% correct mean in automotive systems? While the six-sigma approach has been in use for more than 30 years now, its adoption has expanded considerably. Along with this, reliability and safety requirements are driving the need for better verification metrics and more comprehensive verification in many types of chip designs. The bottom line: While electronics will still fail, at least they will fail less often and in ways that can be more closely tracked and fixed more quickly. Automotive OEMs are leveraging programmability for algorithms, evolving safety standards, and market differentiating features. Part 2 of 2: How should companies go about the verification of functional safety and what tools can be used? Experts at the Table, part 3: How will Portable Stimulus impact SoC verification and what adoption approaches are likely to catch on first?